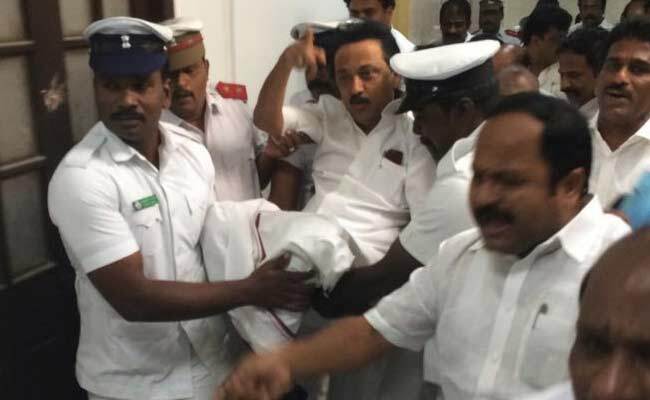 Tamil Nadu Assembly on Wednesday witnessed uproarious scenes when DMK members strongly protested remarks made by a ruling AIADMK member apparently ridiculing Leader of Opposition MK Stalin, culminating in their en masse eviction and suspension. Speaker P Dhanapal ordered eviction of the DMK members by assembly marshals after they stood up and insisted on expunging the remarks even after he rejected their demand and asked them to cooperate for the smooth conduct of the House. Later, the government moved a resolution suspending the DMK members for a week which was passed by a voice vote. Trouble erupted during the debate on demands for grants for the Housing and IT departments when AIADMK member S Gunasekaran, without naming Stalin, made some remarks about the ‘Namaku Naame’ programme undertaken by the DMK Treasurer in the run up to this year’s assembly election. During the ‘Namakku Naame’ programme, Stalin had extensively toured the state and interacted with people. The remarks about the programme triggered strong objection from the DMK members who wanted the Speaker to expunge them. 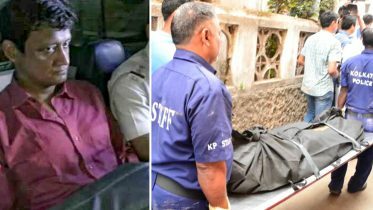 Dhanapal, however, said the MLA had not made any pointed reference to anyone and therefore there was no need to expunge the remarks. Be the first to comment on "MK Stalin, all DMK MLAs suspended, evicted from Tamil Nadu assembly"